This course will present the obvious case for teaching values and character in schools and review general values and character education programs. Teachers are reminded of their responsibility as a role model, mentor and moral disciplinarian. Educators are encouraged to teach VC throughout the curriculum in their particular subject area. Strategies for teaching controversial issues regarding values and character in schools as well as social applications are presented. Educators will develop writings, lessons and activities that can be utilized in classroom and school environments. 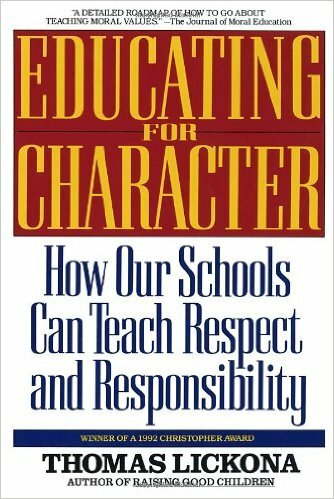 Educators will review the case for teaching values and character (VC) in schools as well as the why? and what concepts should be taught. Teachers will review what values and good character are and strategies on how to teach respect and responsibility as a roll model, caregiver and mentor. Educators will be presented with strategies to present Moral Discipline in a democratic classroom community and school environment. Students will learn to be able to teach values through the curriculum in a cooperative learning structure as well as how to teach controversial issues in schools. Teachers will develop writings, lessons or activities for implementing values and character education concepts for classroom and school implementation.